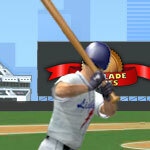 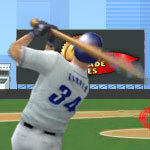 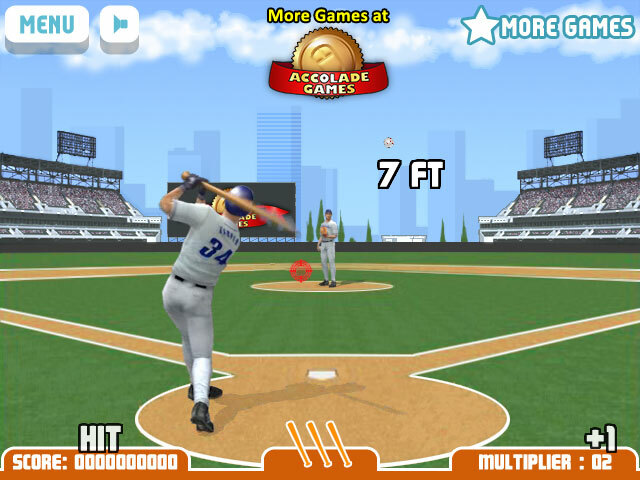 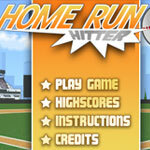 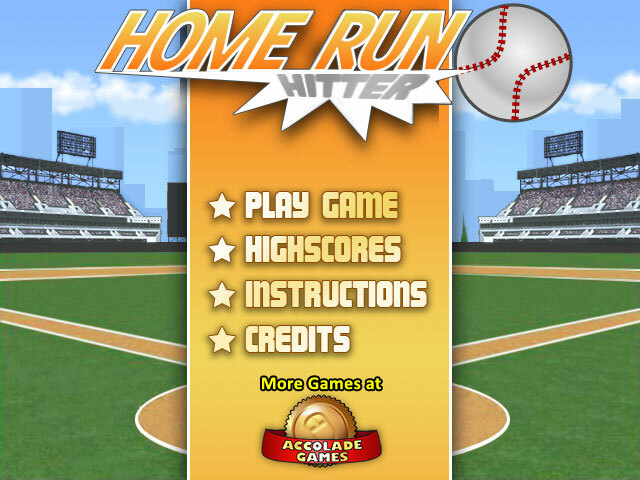 Train your baseball skill, step up to the plate and see how many home runs you can smack out of the park in this high score baseball game. 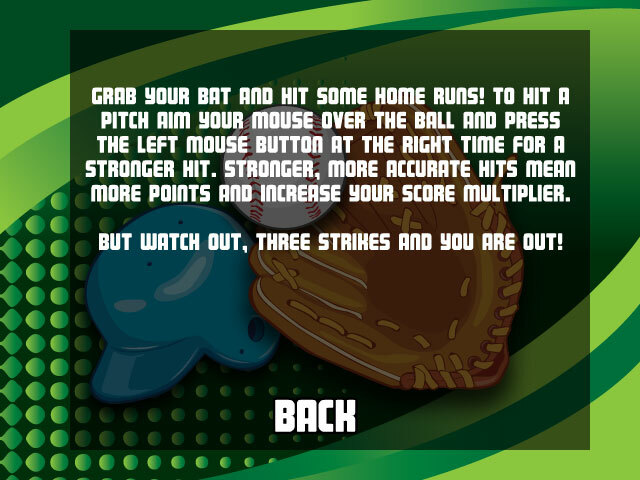 Aim your mouse at the ball and release when the timing is right. 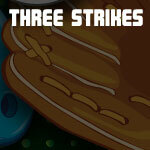 When you get the rightest timing, the stronger hit you achieve and the more points you score.